“Witchy Poo” offers 600 HP of clean, quiet power and the ability to reach many destinations others cannot. 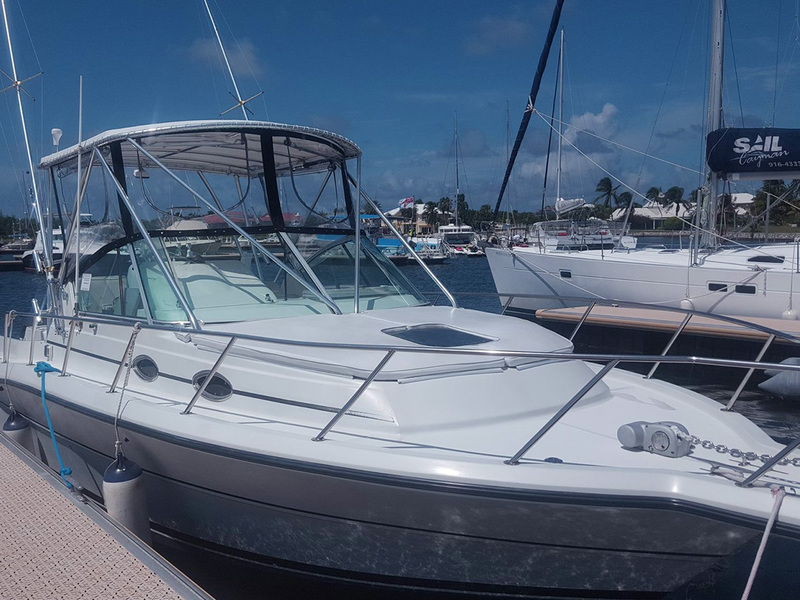 Equipped with a bathroom, coolers with ice, fresh water, all snorkeling gear, including vests and noodles, our beauty can accommodate up to 10 happy passengers. The tour operates from the Cayman Islands Yacht Club. We can customize each tour to suit your needs, and provide you with as much variety of things to do in the magnificent North Sound. Being a private charter allows us to avoid the crowds and go to the areas where others are not. 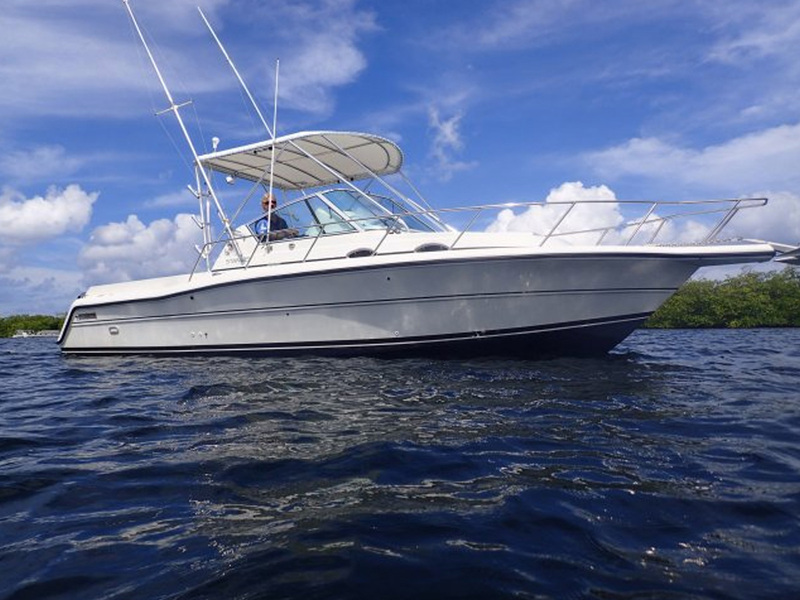 You will not be disappointed with any trip you choose to go on with Elite Cayman Charters. Your tour will also include a Captain and fresh fruit on board. Alcoholic drinks are allowed, you can either bring your own or order in advance (charged at cost). 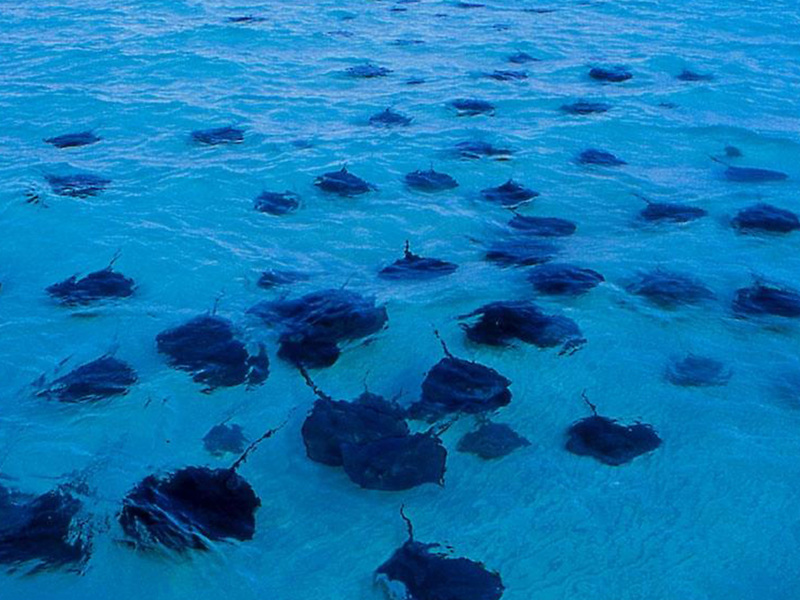 Avoid the crowds and book our early bird “Breakfast with the Rays” Charter. 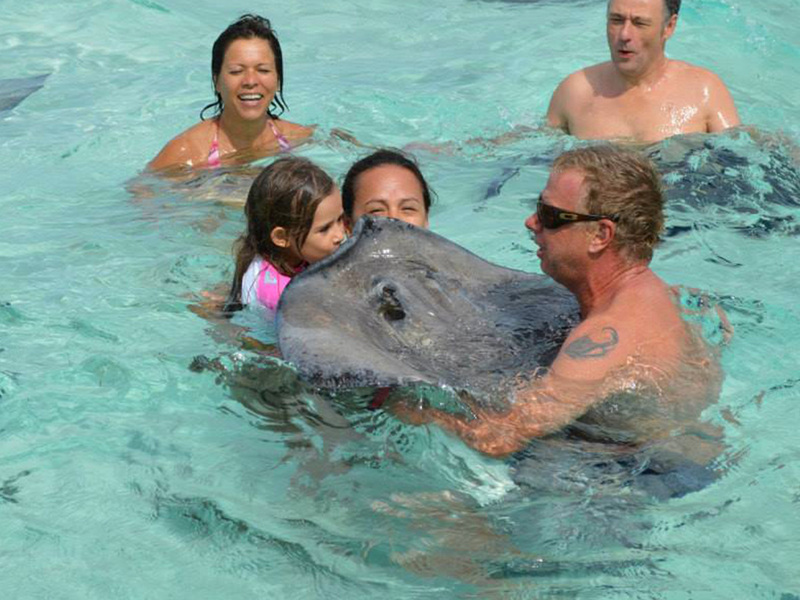 You’ll visit Stingray City before it gets busy, snorkel the reef or visit Starfish Beach. Tour is approximately 2 hours. Latest departure time from the dock is 08:00 hours. 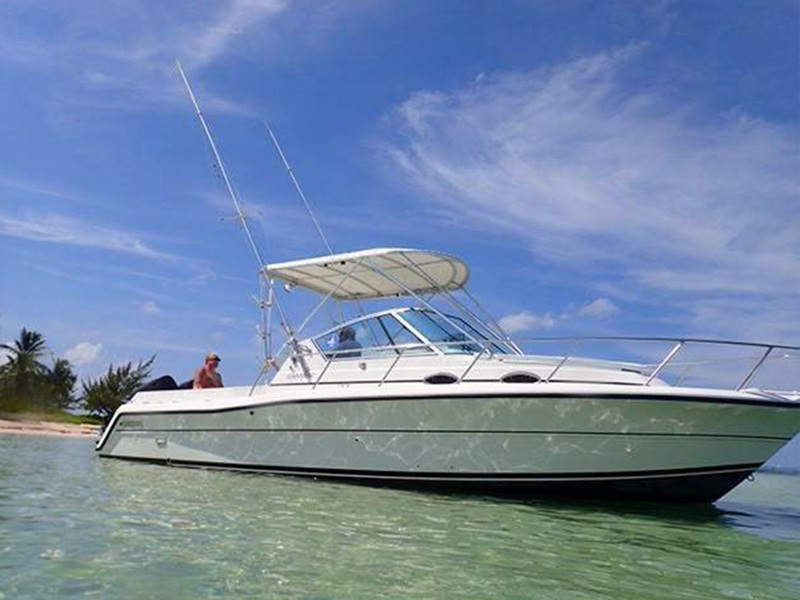 Book this 4 hour tour and enjoy a taste of Grand Cayman from the water. 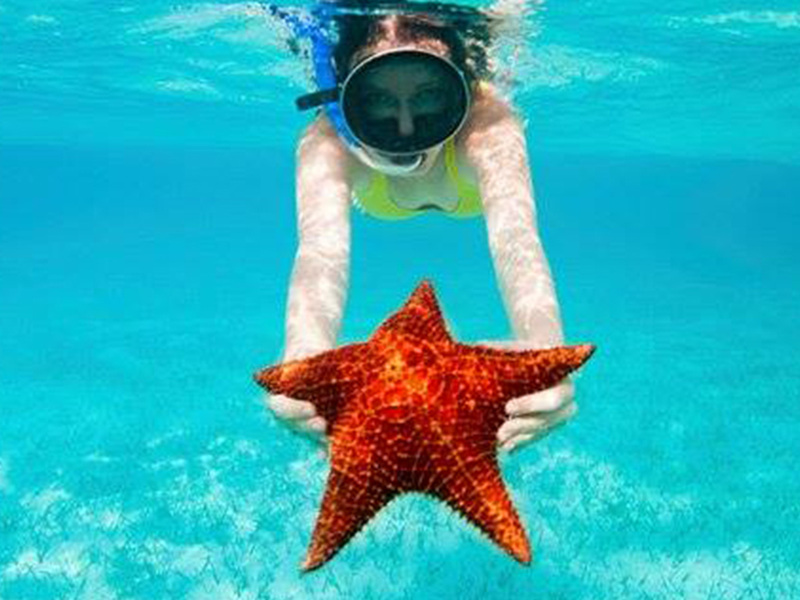 Tour includes: Stingray City, snorkeling at the barrier reef, relax at Starfish Point before heading to one of our many fabulous beach bar restaurants for a famous mud-slide or conch fritters if you want. Back on Witchy Poo, time permitting, we’re off to do some more snorkeling or cruising through the magnificent mangrove reserve. Cruise ships frequently alter arrival or departure times; this makes it difficult to coordinate a tour. Therefore we offer a special price and the boat will not be booked for any other tour that day. If you arrive a little early or late your charter will be ready. The itinerary can be discussed and can remain flexible. Tour is approximately 5 hours. Book this 6 hour tour for a wonderful day on the beautiful Caribbean Sea. Tour includes everything listed above plus time for lunch at selected restaurant and weather permitting, possibly time for additional snorkeling stops.